Before you peep beneath the cover of this book, let me tell you about the only important thing that it doesn't tell you... make sure you have a pen and paper next to you while you read. In fact, take that paper, scrumple it up and throw it away and replace it with a notebook. You see, this book is so full to bursting with good ideas that you're going to have lots of to-do lists by the time you're done. If you're an author, then reviews are crucial. 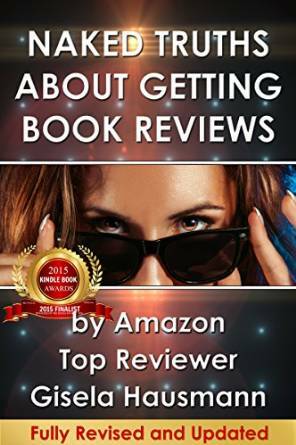 This book gives a no-nonsense guide to going about the process of getting those reviews. 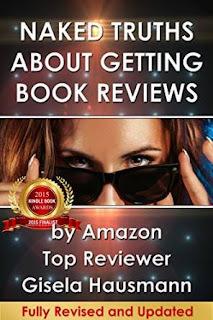 ☑ How to find Amazon's top reviewers. ☑ Ways to approach reviewers. ☑ Mistakes made by authors in approaching reviewers. ☑ Ways you can search for other reviewers - on the likes of Goodreads or finding book bloggers. ☑ How to approach newspapers and other traditional publications. ☑ The truth behind some of those rumours about ways in which Amazon disqualifies reviews. ☑ Advice you can give to those who might ask what to include in a review because they haven't written one in a while. The last point is particularly useful. There are so many different stories doing the rounds in author groups about different myths to do with reviewing that it is incredibly helpful to get some straight answers from an authoritative source of someone who has been there and done it. There's also some unexpected information - such as it being useful for authors who receive a review to go to Amazon and mark it as helpful. I'd heard stories on some author groups saying you shouldn't connect in any way with a reviewer, but it makes sense that marking a review as helpful is an acknowledgement by the author in the time and effort someone has taken to write a review. All the information is presented clearly and methodically, and by the time you're done, you'll have that to-do list fully loaded up. Now, to see if I can make the most of what I've learned from this and see if I can drum up a few more reviews for my own books! Naked Truths About Getting Book Reviews is available on Amazon. I really didn't know the usefulness to reviewers of liking their reviews until you pointed it out. I guiltily went back last night liking every review anyone has left!